Lines and wrinkles are an inevitable part of ageing, but there are many treatments to help reduce their appearance and smooth skin. Which treatment you choose will depend on the type of wrinkle and where they appear. At Hans Place Practice we spend time talking about your expectations and the look you want to achieve. Whether it’s a natural looking freshen up, or a more dramatic improvement, we can recommend the right combination of treatments. For deep lines, we generally recommend Botox® or Azzulare® along with dermal fillers or INTRAcel. The injectable treatments complement the long-term improvement that radio-frequency treatments like INTRAcel can have on skin tone and firmness. To soften lines on the upper third of the face – forehead and around the eyes – Botox® is highly effective. The procedure is very straightforward and involves a series of very small injections. The effects, however, are often remarkable. If the lines are slightly deeper, we may recommend a dermal filler either used on its own or in conjunction with Botox®. For fine lines and mild sagginess beneath the eyes INTRAcel is recommended to firm and tighten the skin. For small lines on the bridge of the nose – often known as ‘bunny’ lines – the best treatment is Botox®. The lines from the sides of the nose to the edges of the mouth are known as the nasolabial folds. As we age, these usually become more prominent as the skin starts to lose collagen and fat, which can cause the cheeks to sag. These lines often become deeper on people who have lost weight. Treating nose-to-mouth lines can produce a dramatic anti-ageing effect. Dermal fillers or injectable volume enhancers are the best treatment for these lines, though Botox® is also sometimes an option. These lines may also be reduced with a more extensive, longer lasting radio-frequency treatment such as INTRAcel. The lines that often cause lipstick to bleed are called peri oral lines and are typically much more prominent in people who are (or have been) smokers. A classic sign of ageing, peri oral lines appear when the skin loses collagen, a side effect of smoking and ageing. To treat lines around the mouth, the treatment of choice would be INTRacel. 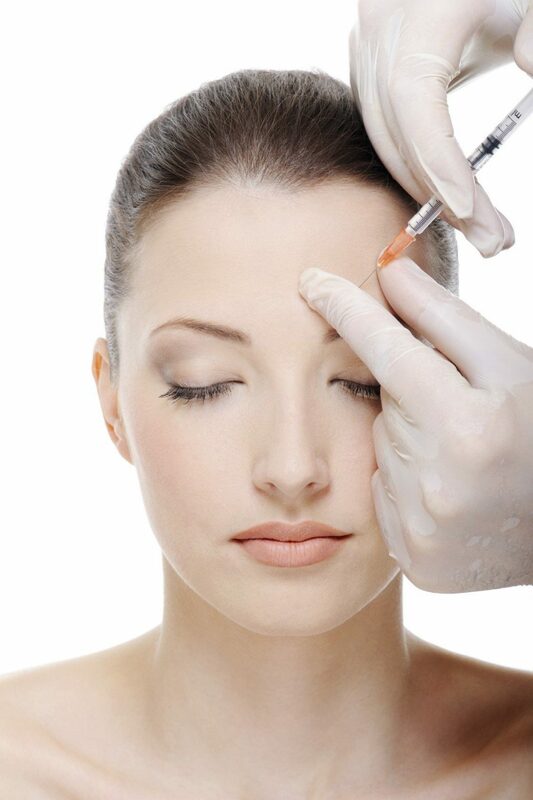 We may use dermal fillers and Botox®, depending on the extent and depth of the lines. Called the oral commissures, the lines and folds that develop on the corners of the mouth usually become more prominent with time. As the skin ages, it loses collage and fat, which in turn causes the skin to sag and wrinkles to develop. If you have oral commissures, you may feel that you look constantly grumpy or tired. However these lines can be easily treated with dermal fillers or Botox®. Hans Place Practice offer two effective skin care regimes designed for home use. Obagi and Epionce are highly effective, clinically proven products which address a range of skincare issues such as lines, wrinkles, dehydrated and “crepe” like skin, acne, acne scarring, rosacea, psoriasis and uneven skin tone and texture. Dr Comins and the team will be able to advise which course of treatment would be best to suit your lifestyle and needs.